New company logo for Roemheld, Hilma and Stark the Roemheld Group continues to merge. It is our goal to appear and to act together in the market. In order to visually emphasize our intention Roemheld, Hilma and Stark will emerge with one common company logo. Compact clamp with pneumatic clamping monitoring cartridge type, double acting, max. operating pressure 250 bar The compact clamp particularly excels by its minimum dimensions. 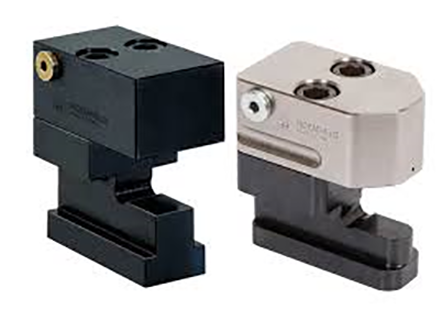 Two different cartridge types, each in four sizes, offer a high flexibility for the design of clamping fixtures.